Rarely seen in the wild, the Zeb-Raptor's speed is only matched by its stubbornness. This is another unique species created by fusing plastic toy animal parts together with Plastimake. 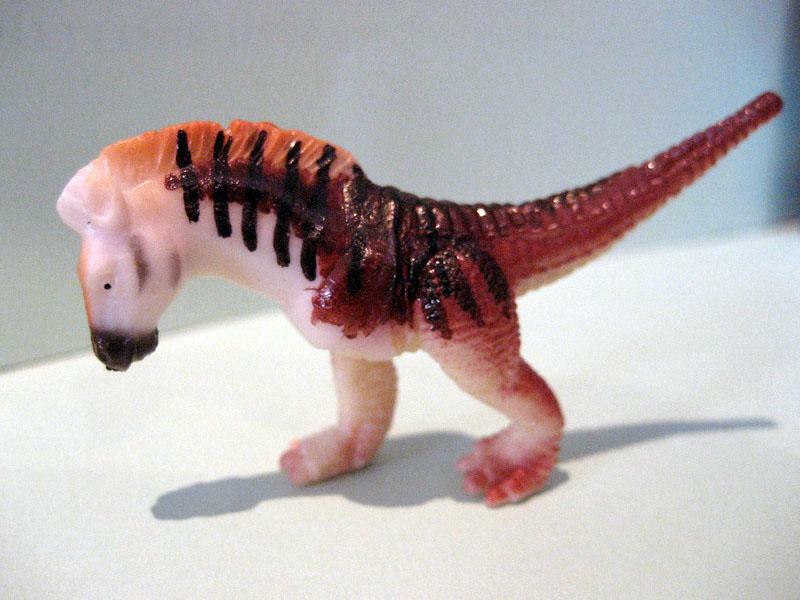 For more exampels of plastic toys joined together with Plastimake, check out the Camel-Saurus and the Ape-Raptor. Mark used permanent markers to add the final colourful touches to this creation.